Good day to you, my young entrepreneur. The sky is clear, the birds are singing, you’ve started your own wonderful business, all the stars are aligned. Then… boooom! Something has happened. There is a problem with the business, it’s not going well anymore. What do you do? Where do you start? Should you change this thing? Or maybe this one? Do the customers hate your product? Is the website’s color ugly? Panic, panic, panic. Fix them all! 1… 2… 3… still not working! This is what usually goes on in the mind of a young entrepreneur when the first problems arise. Stop. Breathe. Before going into this spiral of trying to fix everything, take a step back. It is very likely that while being new at this, you do not yet possess the skills to know how to identify the real challenge. There is a famous saying “If I were given one hour to save the planet, I would spend 59 minutes defining the problem and one minute resolving it”. Before you start doing anything, it is crucial that you understand what needs solving. It is very easy to get lost in the world of doing busywork instead of focusing on the things that matter. Being busy does not equal being productive. Someone else’s project or responsibility. It is very easy to get sucked into the world of doing busywork. Out of the desire to always do something, you can end up wasting your time on things that just keep you occupied and ignore the parts that are less quantifiable but much more important, the strategic work. Whenever you encounter a challenge, you need to think of it as simple as possible. What is the need? What is the exact problem, stated clear and concise. Don’t think about solutions, try to identify the need that this problem has brought up. Justify the need. Is this problem aligning with the organization’s strategic goals? 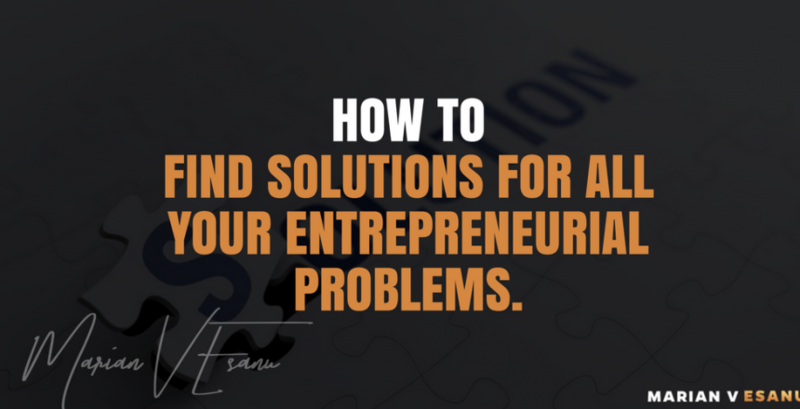 Answer the question of why you should attempt to solve this problem. Is this problem on the top of your priorities? How will you fix the problem? Let’s say that you have found the issue and it needs to be solved. Awesome! But how do you do it? Who is the best fit to do it? Should it be you or is there a manager of an existing division that will be the challenge-solving champion? Now that you have a better grasp on your problem, it’s time to start digging deeper and define the problem in detail. Make sure you have captured all the details that your champion will need to be able to solve it. Offer context. Have you tried to solve this problem before? If there are potential solutions already implemented you can avoid trying to reinvent the wheel or heading down a dead end. Reach outside and research if others have encountered this problem and learn from their successes and mistakes. At this point, you actually understand the problem. You know what needs to be done. Good job! All that remains is to take a deep breath and start writing down the strategy that is going to solve the problem.